Over the many years we’ve been steadily growing as an online unconventional fitness community and magazine, and it’s awesome. We’ve hit over 4,128,935 views and 17,593 subscribers on our Youtube channel. Our website now has a bounce rate of 42% (the lower the better), our monthly pageviews are peaking around 18,000 and still growing. Our Alexa ranking has surpassed several other online unconventional fitness magazines that have been in the game longer than us. We put in a lot of time to get you awesome articles, workouts, videos, interviews and much more, we never asked for anything. But today is different, show us you like Cavemantraining and help yourself by helping us, the more members we get, the more content we can put out. Please share this post on Facebook. Like this page and join our Facebook page where we sometimes put content out first, or content we don’t even put on the website. We’ve got 5.5K likes on our Facebook, help us reach 6K by the end of this month. If you only do one thing, I hope it’s you clicking the LIKE button below. 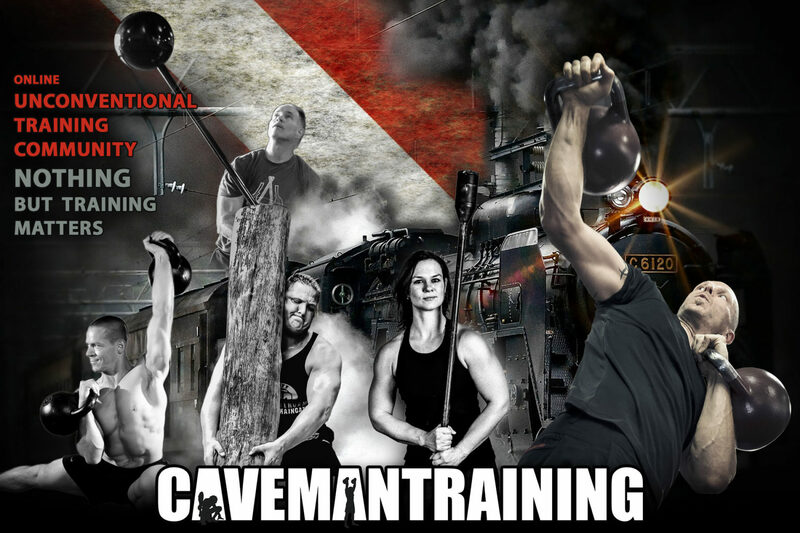 Search Google for “Cavemantraining” and click our website, I know it sounds silly, but we still need to train Google, as we’re “Cavemantraining” and not “Caveman Training” it always wants to correct us. If enough people search for our correct name they’ll pick it up. Subscribe to our Youtube channel, how can you not? You’d miss out on all the awesome videos. Follow our Twitter. Yeah, still haven’t figured out how to effectively use Twitter, but hey, maybe one day. Follow our Pinterest. Yup, same story as Twitter. Do you even Kettlebell Squat Bro?! Ooh, and don’t be afraid to take some credit for your work, post below or on Facebook, and I’ll provide a personal thank you.